Reading is one of our favorite things to do. Since having my 3rd child I feel like we get less day time reading. Something we used to do often. My youngest is at that "I am crawling, and I want to see and play with everything you are doing" stage. It's sometimes very frustrating for my older two when we are sitting down reading, and she comes along and wants to pull at the book, etc. I wanted to give them another outlet for something that they love to do so much. My oldest has a CD player in her bedroom but she hasn't been using it too much lately. I think she may feel a little alienated in there. I originally had planned on buying another CD player for our sunroom or the living room. While I was looking for CD players I noticed the portable ones. To be honest, I didn't even know they made these anymore! I thought they would be perfect for us. The girls can use them wherever they want in the house, in the car.... why didn't I think of this earlier! They were so happy when I showed them how it worked... "It doesn't have to be plugged into a wall?! I can go anywhere!" I created this basket for them. 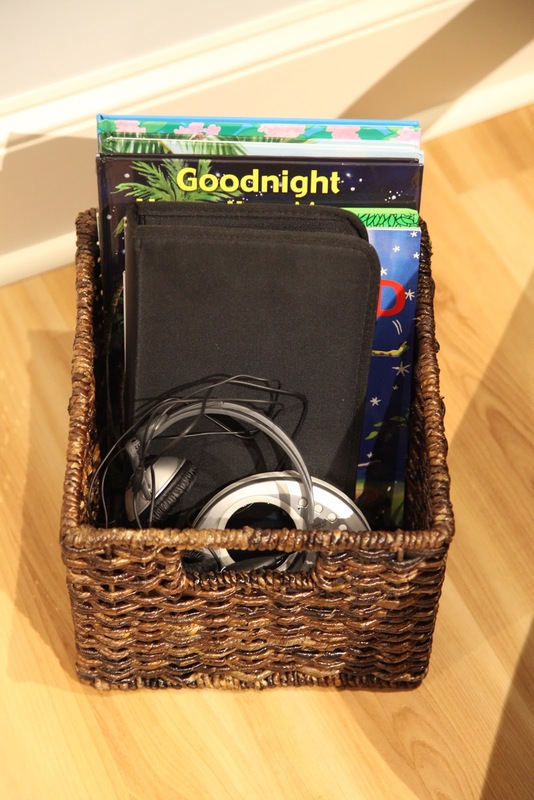 It has books, a CD case, and two portable CD players with headphones. I purchased children's headphones. They fit better on their head and the volume control is better. I purchased alphabet stickers from Michaels and placed one letter on the book, the CD sleeve, and the CD. First they find the book they want. It has the letter "G" on it. 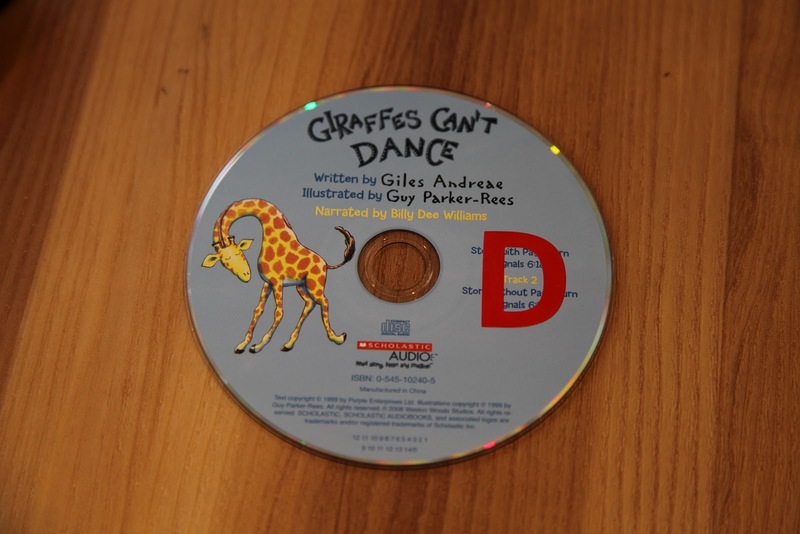 Then they go into their CD case and find the corresponding CD. Yes I know this does not match! LOL I tried to place the stickers in the same place on all three things. This worked wonders for my girls to independently set up and put away the stories. My oldest "reading" her first story. We purchased our Audio books at all different places. 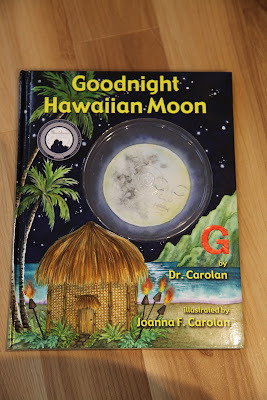 We have quite a few Hawaiian ones that my girls love (My sister lives on Kauai).